Finally it is on my wall. It has been there since the 3’d, 3 days over but my little boy got 3 lego’s(I have put legotoys inside) that day complimented by a big smile. Well it took me a little more time then foreseen and i got a little supermomstressed. 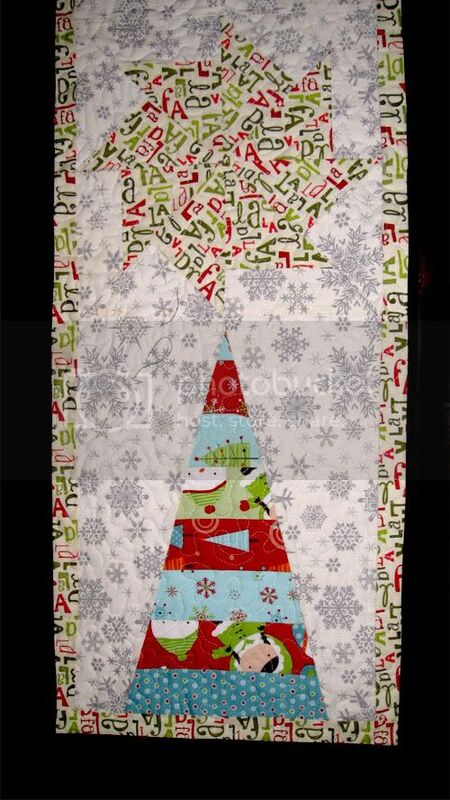 I got tierd of triangles but loved the fabric. The fabric is bought from this lovely store at etsy. Leftovers will be used for my next project, a table runner. 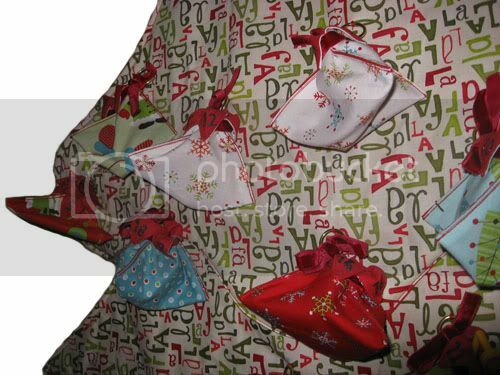 The triangelbags are made by sewing two 60 degrees triangles together and sew 1/3 up on 3 sides. 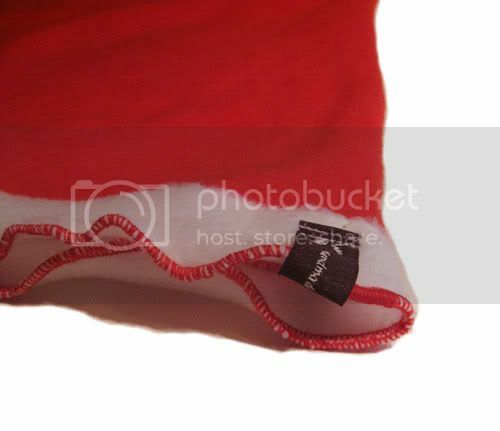 Pin and sew the tops down and pull a ribbon through and woila you have a triangelbag. Just repeat it 23 times.. 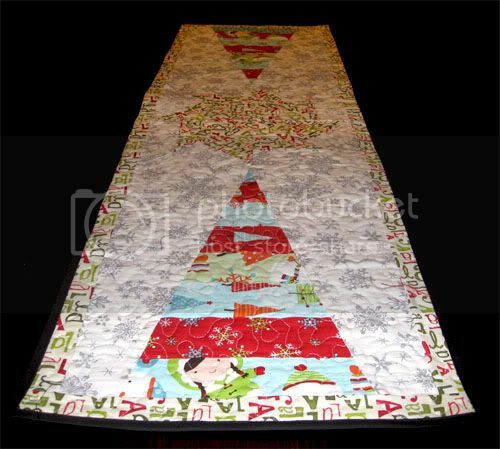 The tree have 3 “branches” that lay over eachother from top and down, its a little hard to see with this fabric tough. I’am quite proud of this dress. 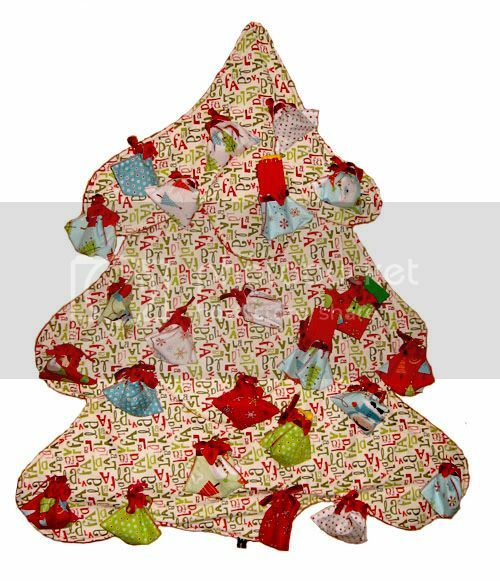 I made a pattern all by my self so this is all my work But I don’t have a 4year old to test the fit so I hope it does. 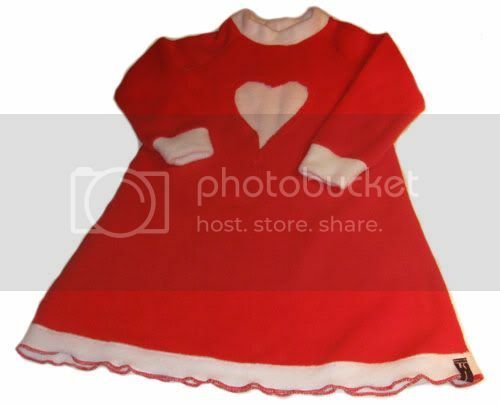 Red and white fleece in very high quality and i love it. Raglansleeves make this easy to sew together! i don’t like heart so much but now I had to make one. Cut a heart out were you want it ( I know, scary) sew around with smal zigzag. 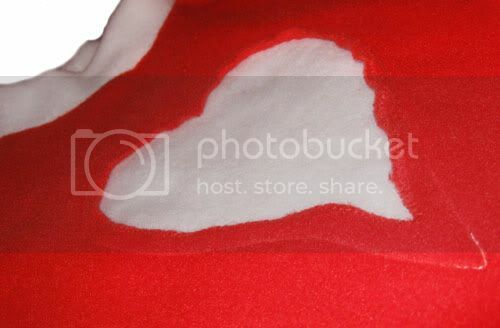 Then i used adhesive spray and glued on tearaway and a layer of fleece, just around the edge of the heart. Sew around the heart and remove the paper and woila.